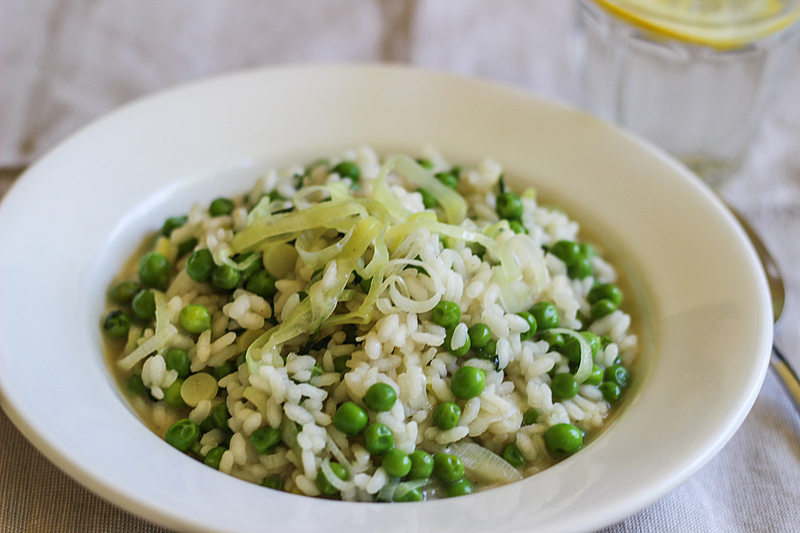 Risi e Bisi (rice and peas) is a classic Venetian spring dish. In the past it was prepared only on the feast days decreed by the Doge (Venice’s ruler). 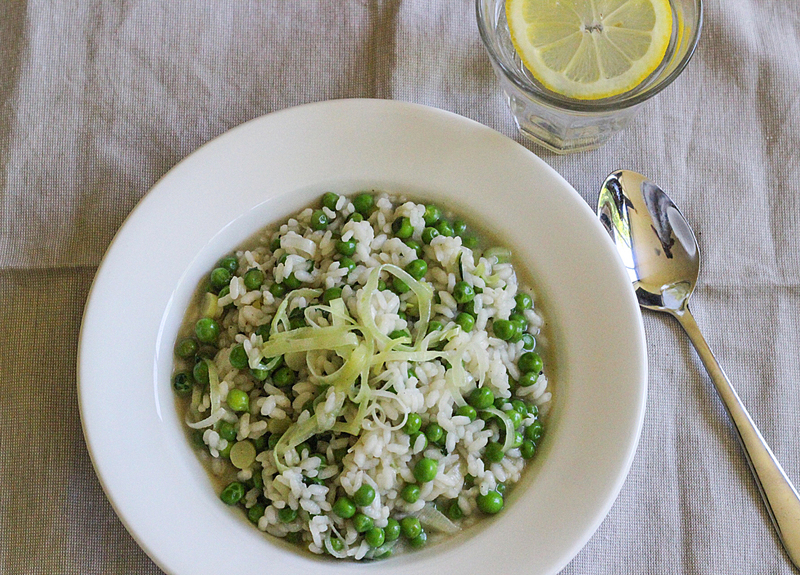 Risi e Bisi is actually a variant of Risotto, although technically a soup and should be served with a spoon, not a fork. It is so thick and rich that it does indeed look like a risotto. However unlike risotto, where constant stirring is required there is only minimal stirring so far less labour intensive! 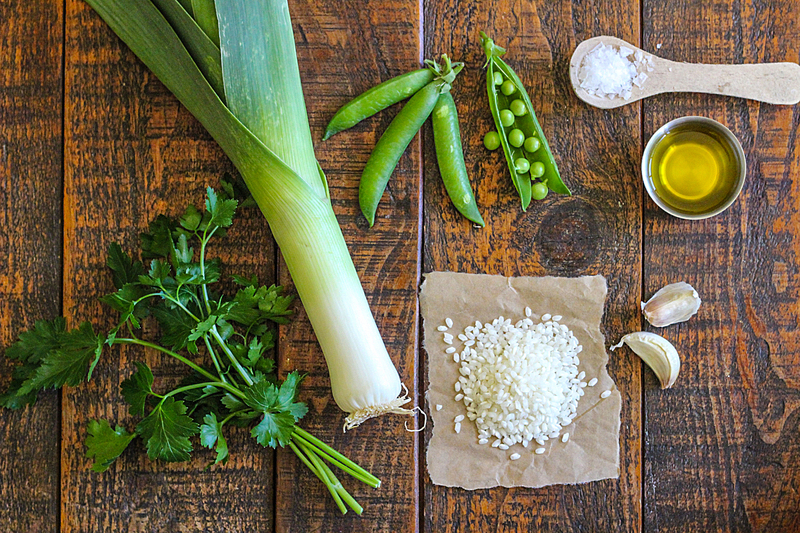 It is a simple dish with only a few ingredients – but the end result is delish! In a medium saucepan, place the stock and bring to a gentle simmer. Add leeks and cook until just softened; about five minutes (remove and set aside a few tablespoons of the leeks for topping if desired). Add garlic and rice, toss until rice is nicely coated, about 3 minutes. Add in warm stock, one cup at a time, the stock should be bubbly. Stir often allowing the stock to be just absorbed. Add in another cup of stock, repeat. Add in peas, more stock and continue the process for another 15 minutes or so, or until the rice is al dente, tender but chewy. The whole process should be about 25 – 30 minutes or so. Add in more stock and stir. 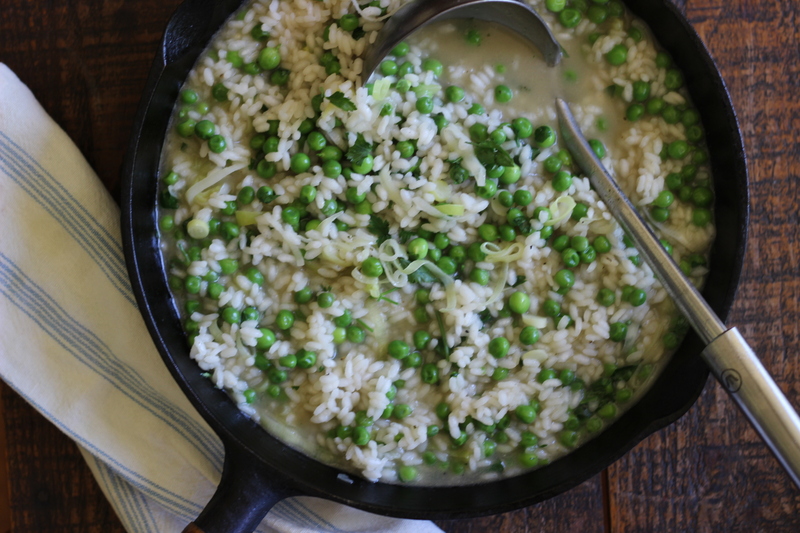 Your rice and peas should be a little soupy. Remove from heat, taste for seasoning and stir in parsley. Serve topped with a nice dusting of nutritional yeast and freshly cracked pepper. 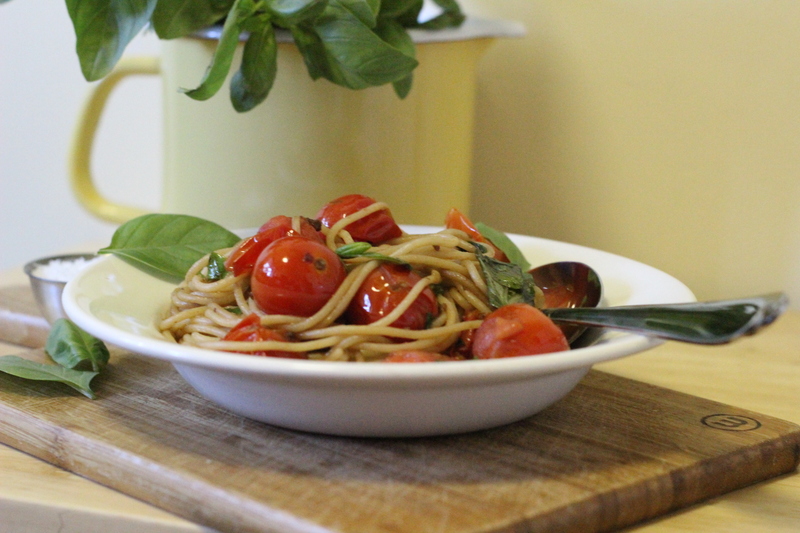 This is a scrummy Donna Hay recipe – the only ingredients that had to be changed for a vegan update was swapping butter for vegan margarine and using Nutritional Yeast rather than Parmesan cheese. Ready in less than ½ hour – this is a super duper supper! Cook spaghetti in a large pot of salted boiling water for approximately 10-12 minutes until al dente. Drain. Drizzle with olive oil and set aside keeping warm. 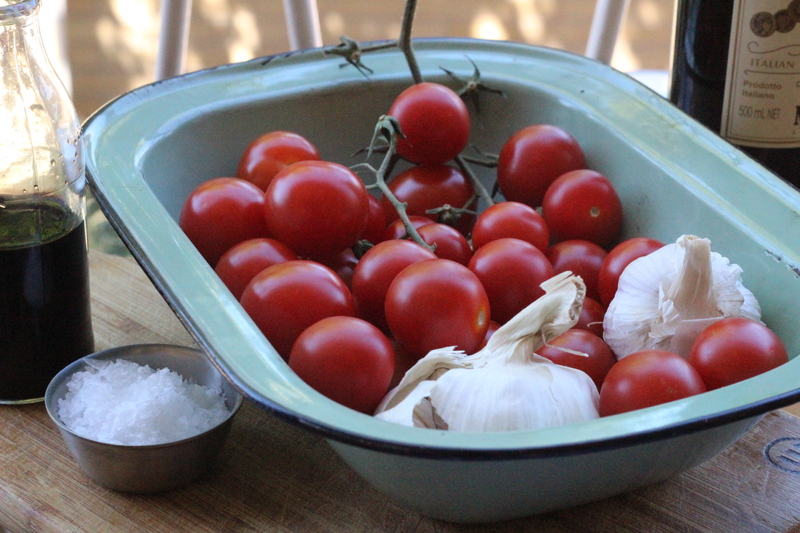 Return the pot to the heat and cook the margarine, garlic, vinegar and tomatoes for approximately 4 minutes or until the tomatoes are heated through and slightly soft. By piercing some of the tomatoes – this will help to give a slightly caramelised effect, especially combined with the balsamic vinegar. 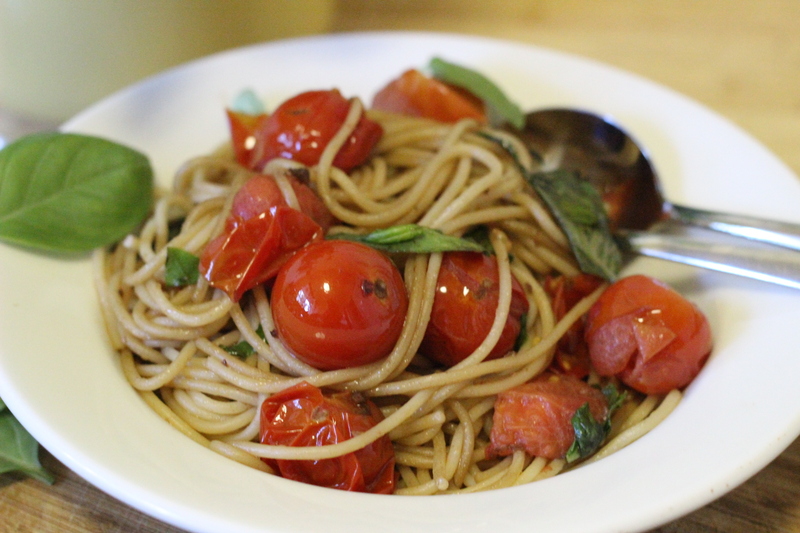 Add the cooked spaghetti to the tomato mixture, stir through and then toss the basil leaves gently through. Pile the spaghetti onto a serving plate. Sprinkle with the nutritional yeast if so desired. This completely delicious little recipe comes from a dear friend Alexi who has very generously passed it onto me. 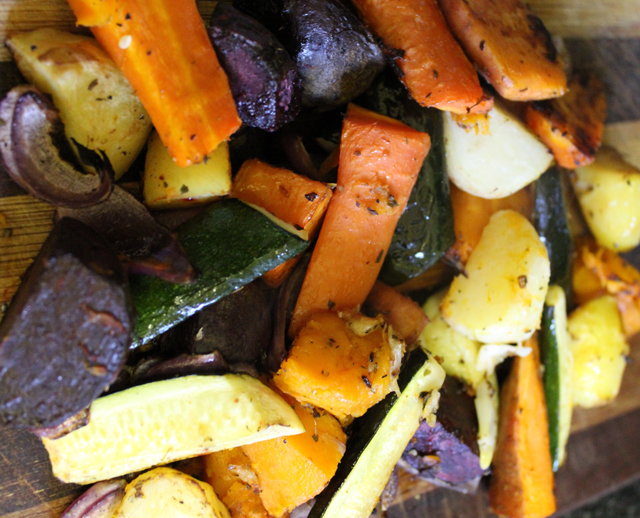 The secret to creating such a wonderful mix of flavours is in the marinating. You can choose to marinate overnight, however if you are short for time even a few hours before serving will do the trick. It really is such an explosion of flavours in your mouth and so so easy. Tomatoes – colourful medley of tomatoes if you can get them otherwise some lovely cherry tomatoes will be just fine. Either the night before or a few hours before…. 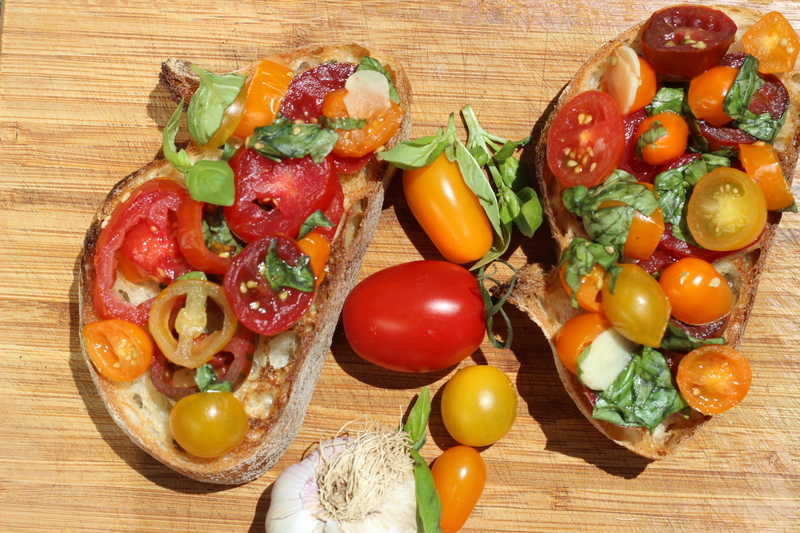 Spoon a generous amount onto each slice of bread. 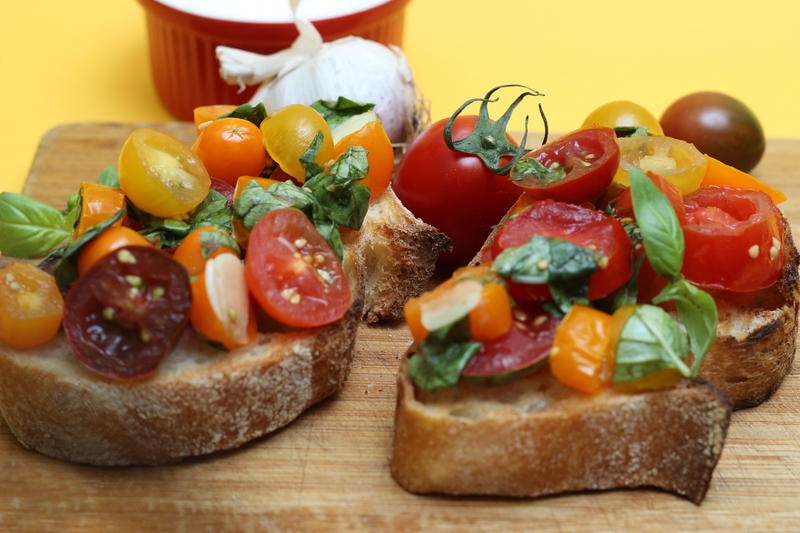 Place a fresh sprig of basil on top and drizzle with the balsamic vinegar and olive oil marinade. What follows is not so much a recipe as inspiration! 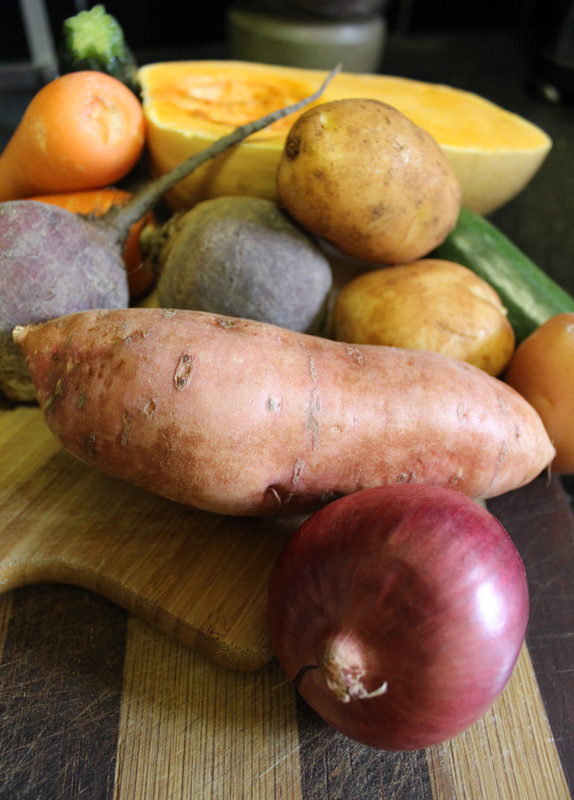 Gather your veggies – the usual suspects this time around included (in no particular order): pumpkin, potatoes, carrots, zucchini, beetroot, sweet potato, spanish (red) onion and garlic. 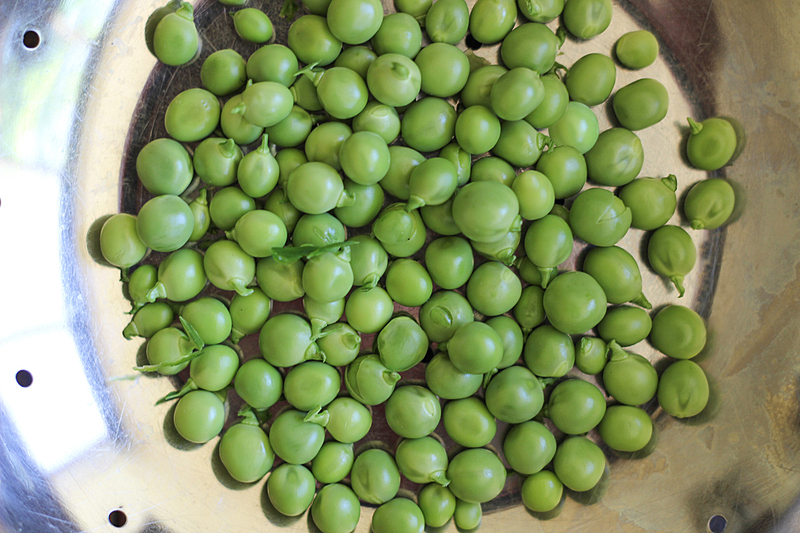 Now – what to do with these lovelies! Anyway – on with the show! So toss in vegetable oil, couple of pinches of sea salt, cracked pepper, a good swig of red wine vinegar and some smashed garlic. If you have some fresh herbs such as rosemary, oregano or thyme by all means add those to the mix – however I didn’t have any fresh on hand so instead I used dried herbs – a good shake of oregano and Italian mixed herbs. Slice the onion into large chunks and add to the roasting pan. 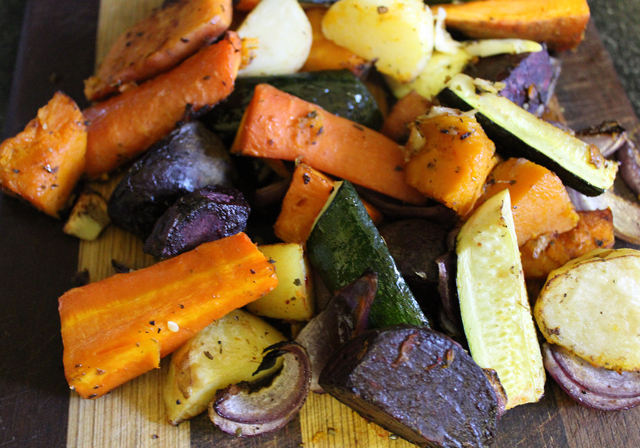 Then roast away – at about 180°C/350°F until golden brown – usually about 35-40 minutes. Keep checking! You may want to give them a turn half way through. Its midweek, the end of my day toiling away at the office and I need to do a shop. 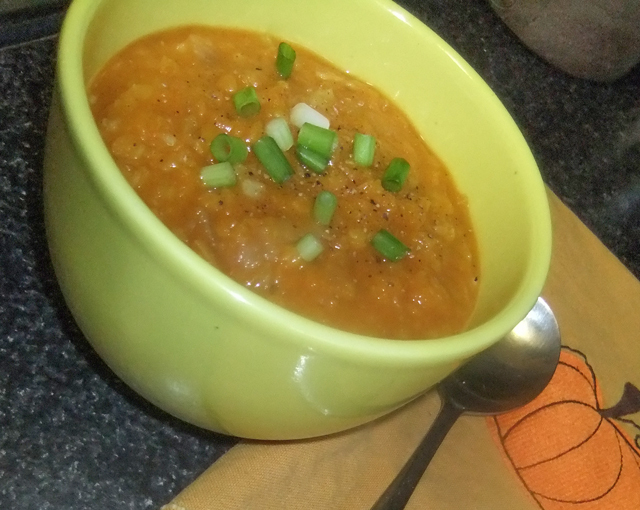 I do have some butternut pumpkin in the fridge, my trusty store of onions, garlic and potatoes on hand and of course the old standby of red lentils and spices. So really I have all that I need for a feast! I’ve whipped this soup up so many times I never really think about quantities but I’ll give you some approximate amounts – just play with what you’ve got! So this really is Easy Peasy Pumpkin Soup! Pumpkin – of course! 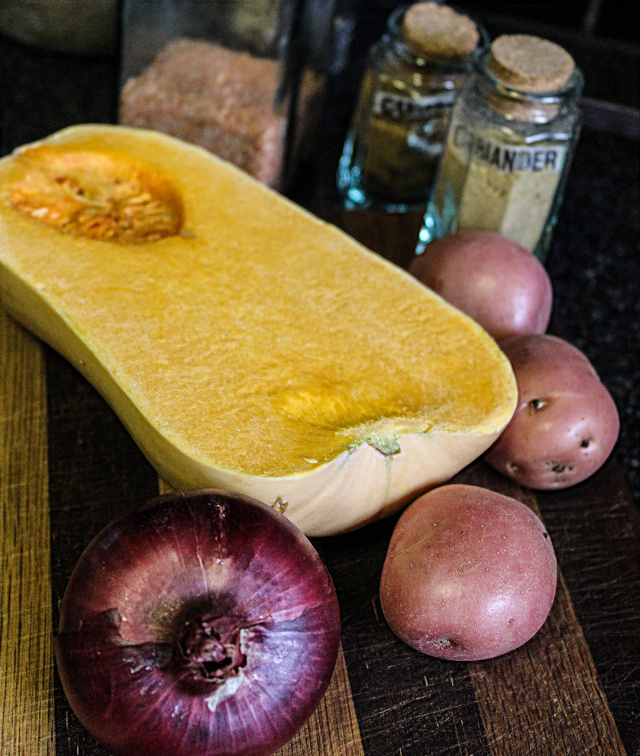 Whatever pumpkin you have on hand – this time I used Butternut but any pumpkin is just fine. 2-3 potatoes – again use whatever potatoes you have. I just wash and scrub and don’t peel – keeps more of the nutrients. Heat the oil over a low – medium heat and add the onion and then the garlic and lightly fry till soft – about 3-5 minutes. Add your spices. Then add the tomato paste. Moisten with a little of the stock if the mixture is dry. Then add the pumpkin and potatoes and fry for a few minutes to coat with the spice mix. Next add the stock followed by the red lentils. Bring to the boil and then simmer for 25-30 minutes stirring occasionally. At this point you can either go for a more rustic version of the soup and just get out your potato masher and have fun mashing up the soup or… if you feel so inclined puree the soup in a blender/food processor – a more refined version. From here add salt and cracked pepper to taste and if you have it some chopped coriander scattered on top or even, as in these photos, some spring onions finely chopped. 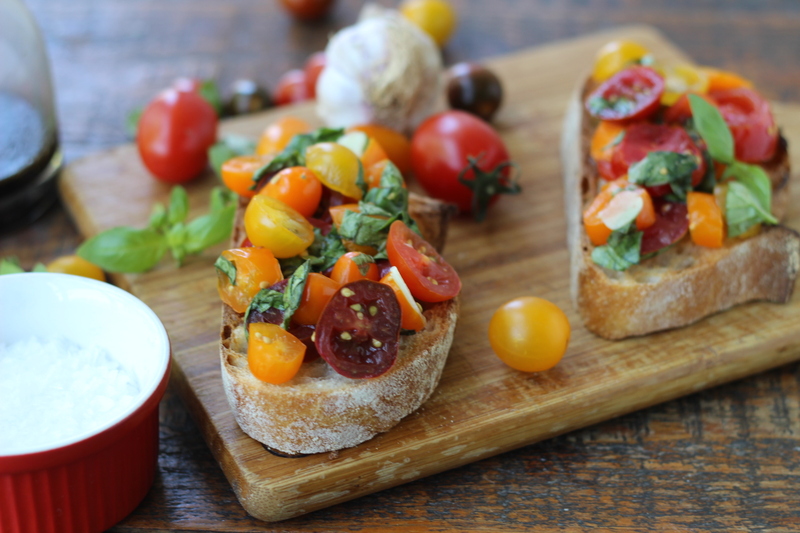 With crusty bread you have a warming evening supper and enough to take to work for lunch the next day!